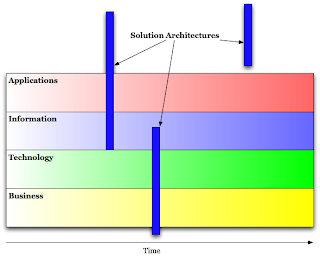 Following on from a previous blog, one of the things that I often see confused is the difference between enterprise and solution architecture. 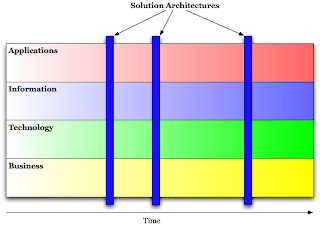 In particular I often see people confuse solution architecture with technical architecture, and enterprise architecture with solution architecture. 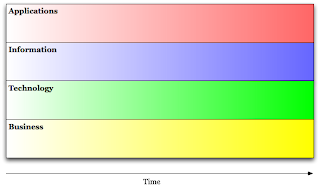 Enterprise architecture is a comprehensive framework used to manage and align an organisation's business processes, Information Technology (IT) software and hardware, local and wide area networks, people, operations and projects with the organisation's overall strategy.